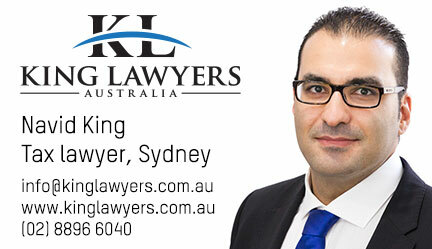 King Lawyers is a leading Australian law firm that specialises in tax. Our experienced tax lawyers provide expert legal advice and representation to Australian and international clients. With offices in Sydney, we provide our services Australia wide. The principal of King Lawyers, Navid King, is a former auditor, tax lawyer and senior tax officer of the Australian Taxation Office (ATO). Therefore, we have a detailed understanding of how the ATO thinks and operates, and we can use this to our advantage to achieve the best possible results for our clients.